On Thursday, November 8, YWCA Canberra hosted its third annual LGBTQIA+ Allies Prom at the Ainslie Football Club. The event brought 200 young people aged 12-25 from across Canberra and surrounds. 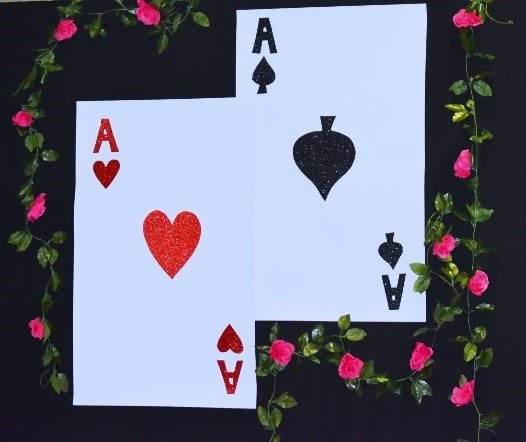 Earlier in the year, a working group of young people and staff were convened to make all the big and important decisions for the night – including this year’s theme which was ‘Wonderland’. As young people arrived at the event, they were greeted by staff from organisations that support Canberra LGBTQIA+ young people. They were also able to get a happy snap before entering through the rainbow balloon arch into the Alice themed room, ready for a night they wouldn’t forget. The night saw the return of crowd favourites such as a photo booth, lolly bar, DJ, as well as a chill-out space. This year Prom-goers were also treated to a three-course sit-down dinner, fairy floss and popcorn, a live Drag performance by MadB and, incredible decorations made by Wildside Florals including a light up mushroom and Alice falling down the rabbit hole. It was these small details that ensured the young people were in for an amazing night. Jace Reh and Zeke Turner for their advocacy work in the community. Alister Ott for their contribution to the community. A huge congratulations to all five winners! Every year we are blown away by the incredible support we receive from our community who come together to help us ensure that this event not only happens but is the best it can be. It is truly amazing to see how much support we receive from our community to ensure that this event is truly accessible to our LGBTQIA+ youth community and the supportive safe environment they help to create which enables these young people to be free to be their authentic selves. We would like to thank our joint Gold Partners AIDS Action Council of the ACT and A Gender Agenda (AGA) and our Participation Partner the ACT Office for LGBTQ Affairs. Thanks also to the ACT Government who generously provided the CBR Rainbow bus to make sure all young people had safe transport to and from the event. We also want to acknowledge Sarah and Jacqui from Sibu Hair and Beauty who did the hair and make-up for our young people. With feedback like this YWCA Canberra is looking forward to bringing to life an even bigger and better Prom in 2019. Watch this space!